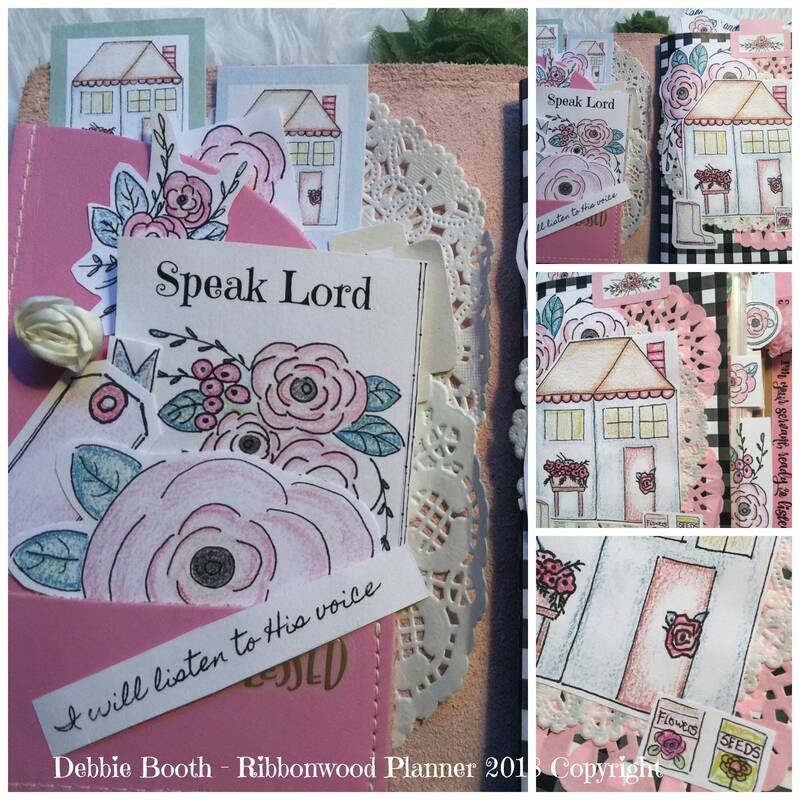 Speak Lord is a collection of Spring Garden House artwork, clipart, embellishments and over 30 scriptures to be read and focused on that God is speaking. 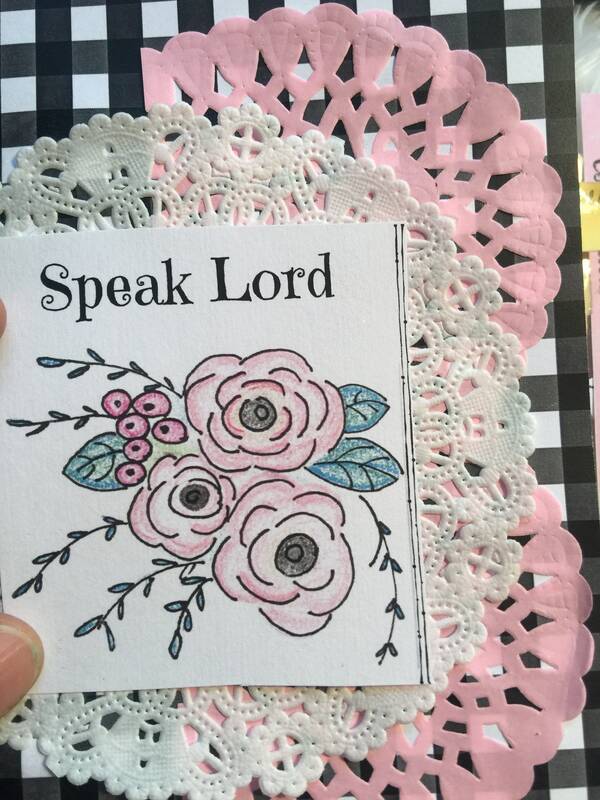 Speak Lord. Wonderful scriptures that reveal how God moved on seemingly insignificant people, shared His destiny and plan with them by speaking to them, and how their lives were changed. This theme and collection has been close to my heart for some time. The scriptures are wonderful, the clipart is used to help inspire and mark or journal these scriptures in your Bible. Be sure to see all the pictures in the listing. I share several creative ideas for journaling or marking your Bible in a simple way. The key is the Word of God and focusing on the scriptures. The artwork or clipart is a way for us to engage more fully in our Bible reading. I have always marked my Bible, using colored pencils to mark favorite scriptures. It makes it easier when referencing these scriptures over and over again. I always add tabs in the artwork that I create. They are great for marking specific pages of your Bible or planner. They help open up right to the page that they are adhered to. I use tabs as well for the different books of the Bible, but I love tabs that can take me to my favorite scriptures, so I try to frequently design them in these different scripture themed collections! 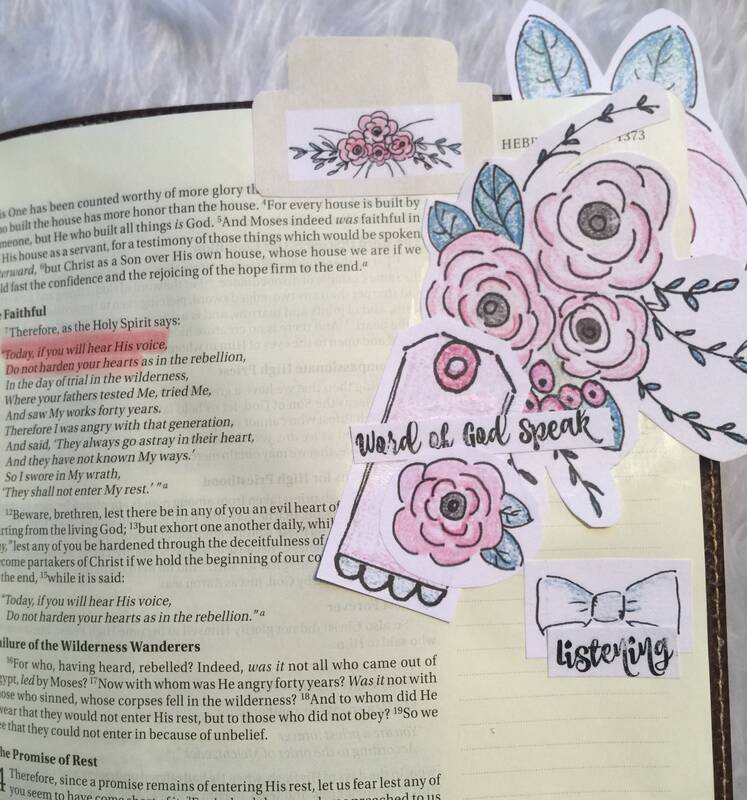 Bible journaling and planner preparation - I share my process, simple and not hard. If you can get your hands on scissors and a glue stick you are all set! 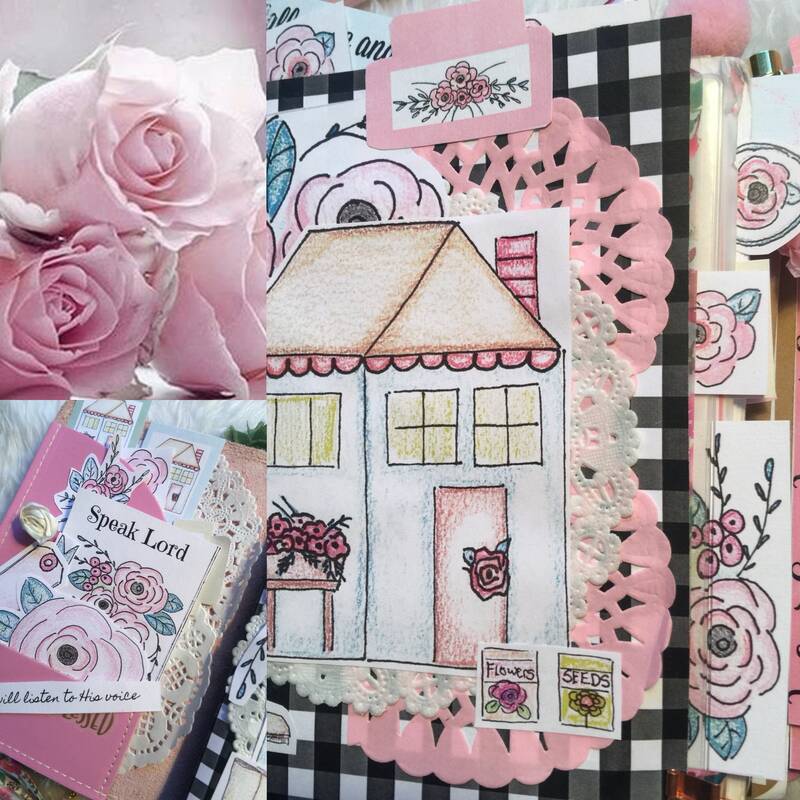 There are a lot of pictures in this collection to walk you through the process of cutting, layering clipart and gluing it to your preferred Bible, planner or journal. I have one full page of black and white gingham background paper. This can be printed out multiple times and used as a cover for a travelers notebook, or decorative piece on a planner divider, section, or tag for Bible journaling. 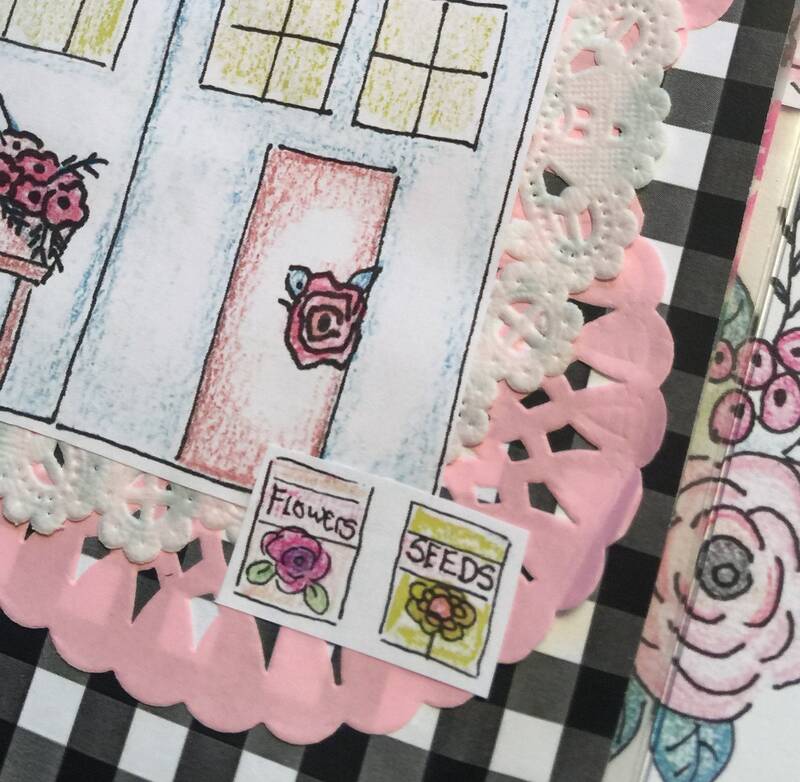 The other artwork I've provided can be layered on the gingham paper or used alone in a planner or Bible journal. Another page has artwork and a month's worth of scriptures focusing on God speaking and the voice of the Lord giving direction and guidance. 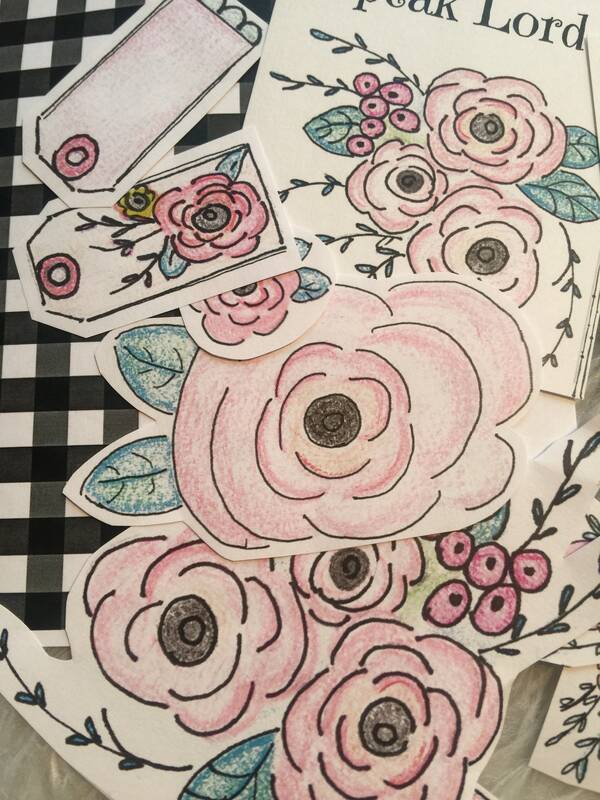 Last there are clipart/Artwork/embellishment pages. 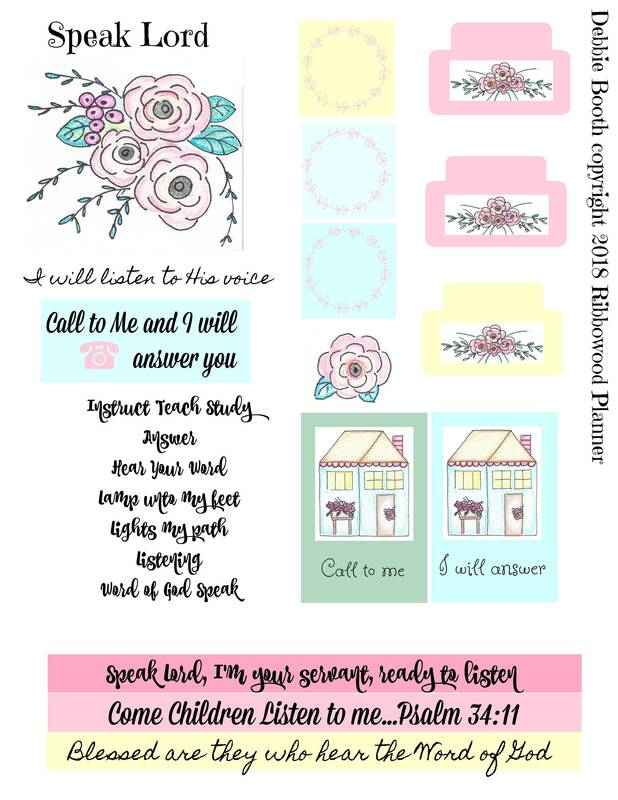 These have floral designs, spring flowers, spring house, and scriptural quotes. To be used in decorating your planner, Bible pages and or journal. These files are ready to print, cut and be used for your personal use or for giving to someone. They can be printed out onto paper or sticker adhesive paper and used as stickers, printed out on card stock or durable paper as well. When printed they make a wonderful embellishment in your planner or Bible journal that has purpose and meaning. By implementing these scripture and encouragement cards, you will start your day out strong and be reminded of that God is speaking, He has a plan and a Destiny for your life. The Bible says Faith comes by hearing and hearing the word of God. What better way to strengthen your faith by saying these scriptures out loud each day. 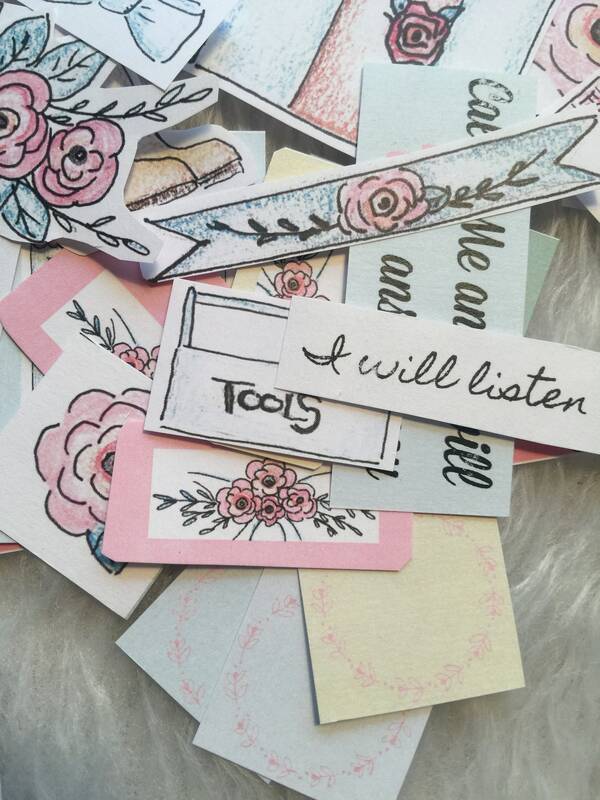 Once purchased the files are yours immediately to save, print and cut and use in your planning and journaling journey. 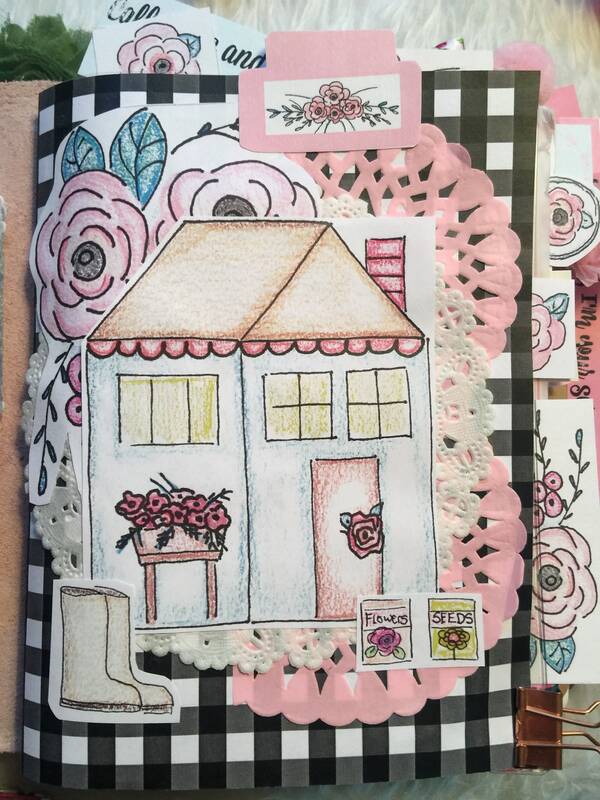 Look at each listing photo as I show the full sheet, and the sheets cut up and used in different ways in a planner or by themselves. These can be printed out multiple times and used for your personal use as often as needed. This is a digital item and no physical item will be sent to you. You will not receive anything in the mail from this listing. Please do not share or alter my designs in any way or across other social media platforms. These are copyrighted designs. Thank you. Be sure to visit my blog for more personal and spiritual inspiration! *Added information - I have a journaling Bible that is mainly for Bible art and journaling. I have a study Bible, that has an index, concordance and study aides. In the last couple years I purchased a medium sized lighter weight Bible that is for taking to church. I would get frustrated when I'd take my other Bibles, and all my notes, papers, additional journaling cards would fall all over the floor! After being frustrated I realized there was a much simpler way to solve it and that was to have a church only Bible!! Hahaha...no longer frustrated and spilling contents all over the place!